Microsoft UK, still out of stock and no eta on orders. My PC is a custom PC, so this should be fun!! Well - I ordered one in the UK, it was prime next day delivery - got it yesterday (18th). .......and it's going back today. It doesn't work at all with any of my surface hardware. The USB device isn't recognised. Same issue as with ACER in a previous forum post in this same forum. Seems to be a compatibility issue with Microsoft hardware (Surface devices like surface book) using certain Intel USB hardware internally. This seems like a nice time to make a Disclosure. My career spanned my years finally HP bought out Compaq. 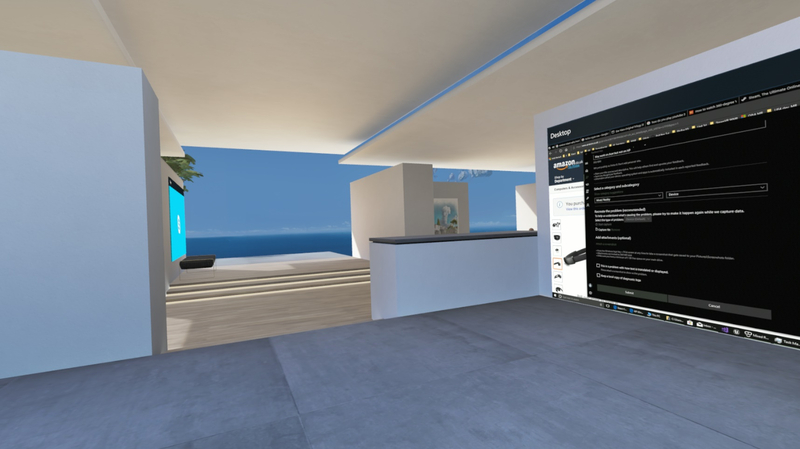 Now my friend, another Service Engineer has bought has a HP Spectre which he connected the new HP Windows Mixed Reality Headset. This left me to set things up works fine!. This demo convinced me to buy the HP Windows Mixed Reality Headset. We may have left HP, but we are the few still interested in technology, the rest play golf . Still getting someone to build your custom PC hardware is quite a luxury instead of DIY. Sad that such an Surface such expensive device fails. I ordered one today. I live in Italy and ordered on amazon.co.uk. Estimated delivery is 28 oct - 3 nov. Can't wait for it! But the good news came home to find a card from courier Hermes who delivered today the 21st October 2017, five days early. The box containing the headset says plug in and it works. My only problem is loss if focus at the edges of the lenses and wonder if this is optical. 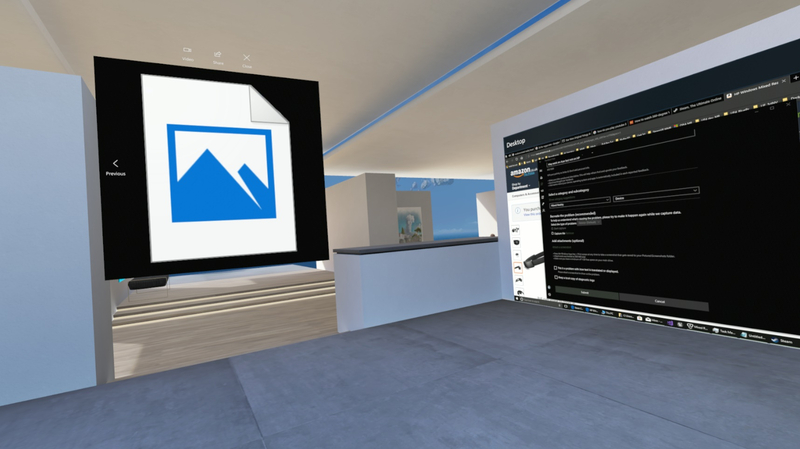 If you connect the Headset to a PC without Mixed Reality Portal loaded, then you main screen desktop displays on both eyes and the edges are still fuzzy. Your screen is using NVidia drivers but because screen resolution 1920 is larger than 1440 of the headset, so this seems an optical problems. 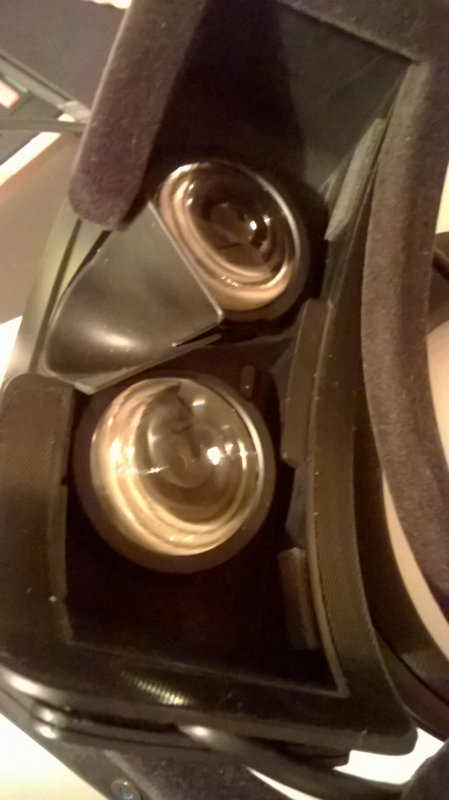 This makes me think HP Windows Mixed Reality Headset VR1000-100nn – Black loss of focus at edges needs an optical adjustment, but any answers would be great. Well, there are a few things at play here @Jimbohalo10. 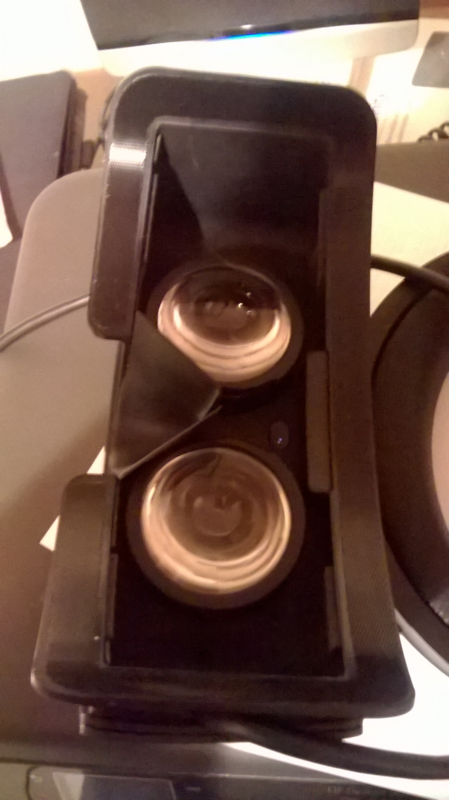 First, all the headsets use Fresnel lenses. These naturally cause a bit of distortion/fuzziness around the edges. Also, there is not an adjustable IPD on any of the hardware except the new Samsung headset, so if you have a wide IPD like me (71.2), then the headsets are not optimal for you and can also promote that blurring around the edges. The problems is made worse for wearing sight correction spectacles, glasses, need to spend a lot longer positioning the headset. The isn't any problems with wearing glasses in the headset which is amazing. When first using NVidia 3D Discover Red/Cyan glasses took a while to get used to the distortions, but they are fine now. This is really funny the WMR test app says it wont run but it does. My custom desktop uses a low spec card but still runs. My next upgrade item will be to get a NVidia 1060 graphics card, when paid off for the HP headset. This does not work on my HP MR device, do we need a firmware update? Opened the Desktop app in The MR Portal went to Mixed Reality Setting -> Calibration and this did nothing at all to the picture, still fuzzy. Now took pictures from camera app just press the Windows Keyboard key up pops the Windows Menu like HoloLens on (f2). @Jimbohalo10 - What kind of machine are you running it on? Hey @Jimbohalo10, I'm an engineer at Microsoft on the Mixed Reality team, and I was hoping you could share the shortlink from the feedback hub on the bug you filed. Can you copy and reply with the link? We'd love to take a look at the issue you are hitting. 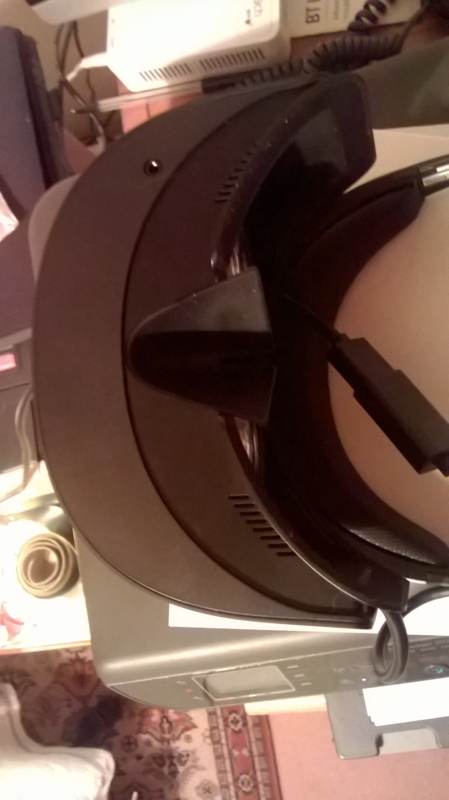 HP Windows Mixed Reality Headset VR1000-100nn – Black ignores Mixed Reality Settings Calibration. moved to minimum then maximum, no a single bit of difference. May work on Acer but not on HP. See how my screen is fuzzy and the attached pictures reflect that. When using the Unreal Engine 4.15 to 4.17 its really crisp. Yet Unreal engine called the Mixed Reality portal, but display using [dev_mixedReality] port of Unreal Virtual Reality drivers, which are a clone of the UE4 Steam VR drivers! After reading a lot about similar problems with the Vive headset in the early days. Readers concluded that the distance between the lens and the users eyes had made a difference. One person noticed that they could remove the comfort face mask to make the eyes closer to the lenses. 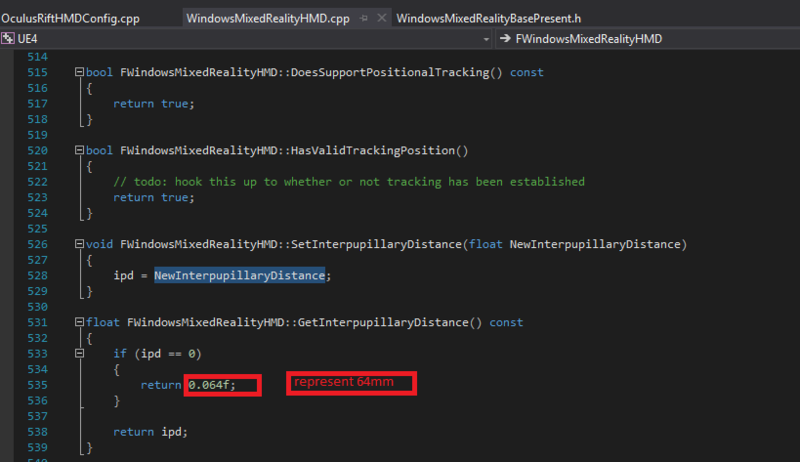 This is NOT the IPD adjustment, for which there is none on many of the Windows Mixed Reality Headsets. Now we can see the whole face mask and observe the size of the mask is about 13 mm or 1/2 inch. The squeezable nature of the mask in itself leads to distortion in the picture. 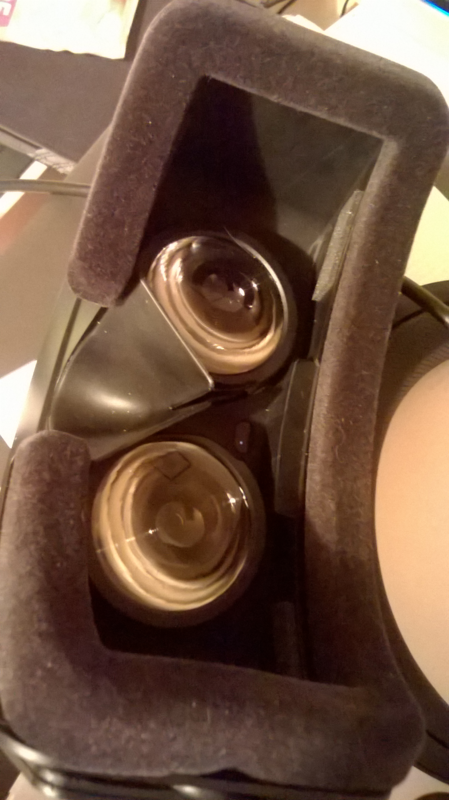 The cheap $20/£20 headset for Google Cardboard works better without loss of focus, because they put a mechanism to change to distance from eye to lenses, why not put this on a £400/$400 device?. My assumption is the device was engineered, without the face mask, which was added later and no one has seen the link. Its NOT the lenses or the IPD, its the 20 cent/pence cover stuck on to make the thing supposedly comfortable to users, that causes fuzziness on the edges. Hello, my PC doesn't have integrated bluetooth. I would like to know if I have to buy a Bluetooth dongle or the HP has something integrated. Thanks in advance! Hi , look at What version of the Bluetooth standard does my computer / laptop / tablet support?. What you need to locate in this screen is the “LMP version” (Link Manager Protocol). Use the table below to translate the LMP version of your Bluetooth adapter to the actual revision of Bluetooth supported. Note that your LMP version may be a decimal number. In the example above the number is 6.1280. 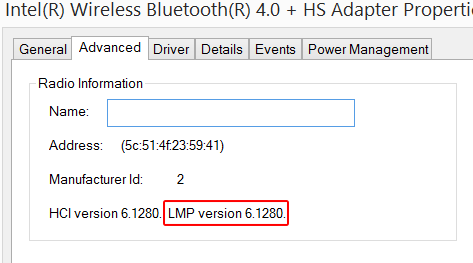 As the LMP table shows, any LMP number starting with 6 indicates that your adapter supports up to and including version 4 of the Bluetooth standard. In the picture this 6.nnnnn represents "6 - Bluetooth 4.0" from the above table. Say you had 3.nnnnn that's Bluetooth 2.x or 5.nnnnn Bluetooth 3.0 both unacceptable for WMR Motion Controllers. There has been some "loose talk" that the HP WMR headset does not run at 90FPS. The problem will be external hardware as described below causes the problem. The relevant test is bolded Preferred Mode: 2880 x 1440(p) (90.000Hz). 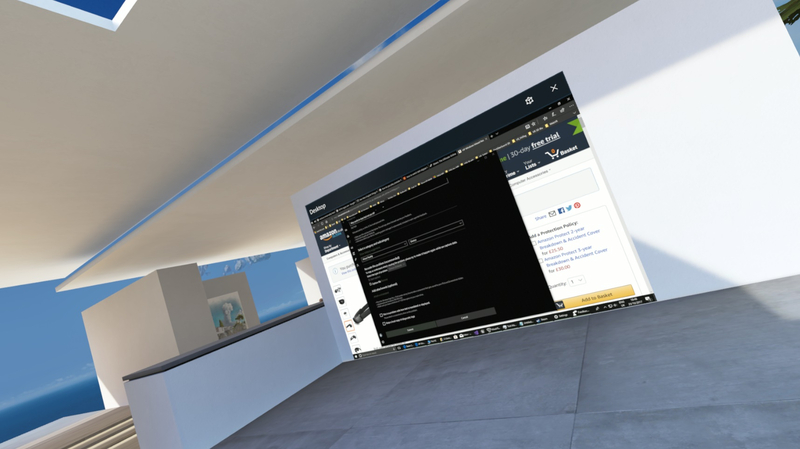 The workaround is to configure the Desktop monitor onto this device and connect the Windows Mixed Reality Immersive Headset directly into the HDMI 2.0 socket. If you misconfigure you will get a black screen!, then just swap the cables to the above and restart your PC. Resolution required is 2880 x 1440 for HP WMR Headset. Unfortunately the reason this is so cheap, about $8, is because after two hours the adapter overheated and could no longer start the Headset. because mine is an HP WMR Headset, the error for me is H0002210-0 after 2 hours overheats or something. The good news is this is still working well on the Headset. Recently someone asked about a Surface Studio and its Mini Display port for the HP WMR Headset. That rather conflicts with Surface Mini Display Port. Saving an HDMI PORT on the NVidia GT1050 graphics card and allowing the WMR Headset adapter To directly connect to the only HDMI 2.0 socket.